Dev Anand, Chargesheet and me. When I was 30 I was troubled by questions of death and questions of life after death. The ‘soul’ was a fascinatingly escapist concept for me but supremely confusing. I have a spiritual friend – somebody who I end up having conversations with when my questions reach a point of extreme anguish. He told me that the soul was basically ‘impressions ‘ left behind by the deceased. These impressions were an amalgamation of deeds, work and relationships created by the deceased in his lifetime. I liked my friends simple logic but my hopeful mind did not wish to accept this one line solution to an abstract hope of immortality. My twitter timeline which is a better source of information and concise entertainment than redundant newspapers or hysterical news channels was flooded this morning. Dev Anand RIP, Dev Saab RIP and many other eloquent, some not so eloquent, some downright rehearsed micro blogs have populated my timeline all day. 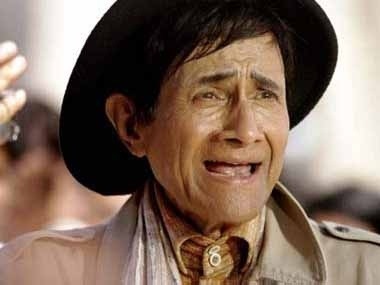 Dev Anand is no more. And my spiritual friends simple logic has reappeared. His soul will remain in this world for many generations. Through his films, through his songs, through images of a man who epitomized life. His impressions will remain with me until I leave behind my own impressions for the mortal world. For me to write about Guide, Hum Dono, Tere Mere Sapne, Kala Bazaar, Jewel Thief, Johnny Mera Naam is futile. There are many more articulate writers out there with a better command over this language and with a deeper insight into Indian cinema than me. I am not qualified enough to write a treatise on my idol Dev Saab’s body of work. My first film ‘Jayate’ was mixed at Dev saab’s Anand Studios in Bandra. I wanted to get a glimpse of my idol. I loved standing in the studio lobby surrounded by posters of Navketan films. Dev Saab by then was sadly reduced to a caricature by distasteful mimicry in even more distasteful films. He was still prolific but the output was an embarrassment to even his most ardent fans. I was happy to forgive all his cinematic misdemeanors and to live in my unabashed admiration of his delightful past body of work. Every time I caught glimpses of Dev Saab running up the stairs, jumping out of his car and always looking terribly busy my day would be made. My romance with Anand Studios and my distant romance with Dev Anand continued through most of my films. Cut to December 2008. I was living in the village. Temporarily separated from films. Living a detached existence. My phone rang. “Hansal… Dev here… Dev Anand… I want you to do a character in my new film. Karle. Mazaa aayega…”. I left for Bombay the same day. I met Dev Saab at his Anand Studios office. I met a frail, fragile bodied man with the energy of an eighteen year old and with the childlike excitement of a debuting film-maker. “Thank you Hansal for coming over. I’m glad you are working in my film. Mazaa aayega… Mazaa aayega…”. He gave me a quick brief on the character and my costumes. Not that it made any difference to me. I was, I am and I will remain a terrible actor who never gives up. But there was no way I was going to let an opportunity to be a part of a Navketan film pass by. There was no way I was going to let an opportunity of sharing screen space with my idol pass. We shot in Mahableshwar, a hill station that Dev Saab has frequently used in numerous films over the decades. Dev saab would simply give me and my co-actors single lines to deliver. All our lines were delivered looking straight into the lens without much thought or background. Dev Saab would correct us or cut the shot the moment we paused while delivering our line or if we shifted our look away from the lens. 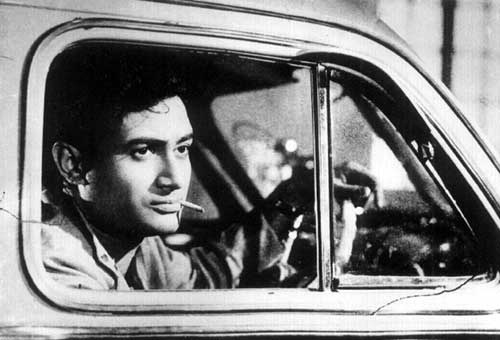 All our lines were delivered breathlessly in classic Dev Anand style – without the panache. Dev Saab would come running to us from behind the camera to make corrections in our delivery, to mark our exact positions and to demonstrate how he wanted us to act. Every ‘ok’ take would meet with a high energy shout of approval from him. We had no idea who we were really talking to in the film or what we were doing in the scene. It did not matter. We would have delightful discussions (led of course by Dev Saab) on his earlier films and his current films. He believed that times had changed and he was keeping up with the times by making topical films inspired by the changing social fabric of our country. He also felt that his earlier films had very poetic dialogue while to make films in the current scenario one had to write dialogues that were conversational and not excessively poetic. I had never met a man more articulate, more charming and more positive than Dev Anand. My insignificant role in his last film ‘Chargesheet’ will remain my most cherished life experience. A few months later I was summoned to dub for my part. I had a throat infection and my voice was squeakier than it is. I’m sure Dev Saab was very upset that I did not dub for my character. A throat infection is the oldest excuse in the Bollywood book of excuses for not attending a dubbing session. I regret letting Dev Saab down. My voice was dubbed by a heavy voice with a heavy North Indian accent. I wanted to apologize to him. I wanted to meet him. Unfortunately that will never happen. I will always smile with recollections of my ‘Chargesheet’ experience. I am blessed that an icon named Dev Anand came into my life and made it slightly less insignificant than it was. I am thankful that my idol touched my life with impressions that will remain etched in my consciousness for the rest of my time on this material universe. Dev Anand RIP.